For those who have never heard of, or seen Sister Rosetta Tharpe, welcome to your baptism by fire. Sister Rosetta Tharpe is the first superstar of gospel, known as “the original soul sister,” and ever since her life was tragically cut short at the too young age of 58, her feats and persona have never been topped, let alone repeated. Rosetta was a landmark figure in the history of gospel, blues, and popular music, as she was the first person to dare and combine secular music styles of rhythm and blues with gospel music and lyrics. She was a mean guitar player too, one of the most overlooked pioneers of rock guitar, peeling off dozens of incredible Chuck Berry like licks before there was a Chuck Berry. Her influence was powerful, extending to legends like Elvis Presley, Jerry Lee Lewis, and Little Richard. 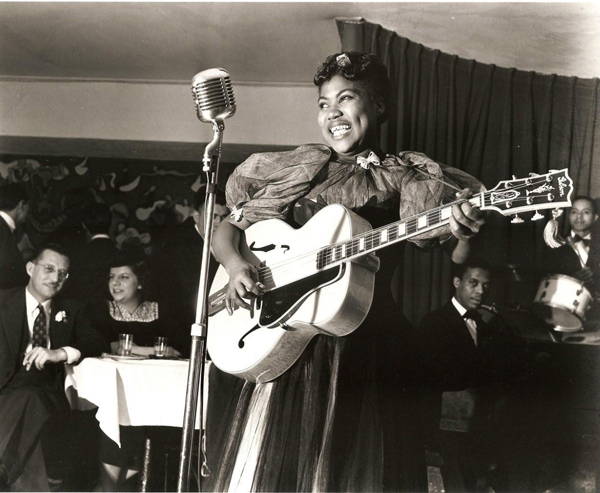 For Little Richard, who is often referred to as the Father of Rock and Roll, Sister Rosetta was a childhood favorite. He saw her perform at the Macon City Auditorium in 1945, and the 15 year old Little Richard was lucky enough to be invited on stage to sing with her. According to legend, she paid him after the show. 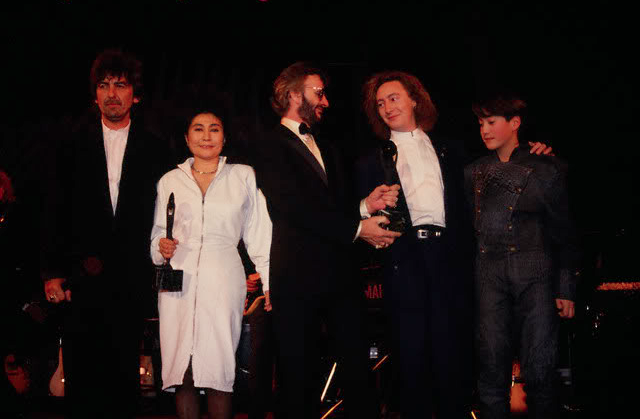 Johnny Cash also identified Rosetta as his favorite singer, and made a point of mentioning her as a childhood favorite in his Rock and Roll Hall of Fame Induction speech. For all her acclaim an notoriety, she died in obscurity, and was buried in an unmarked grave in Northwood Cemetery in Philadelphia. Her lost reputation was later rectified by people who never forgot her thunderous ability and unforgettable stage presence. Below I have a video of Rosetta performing “Didn’t it Rain,” and “Joshua.” I first heard “Didn’t it Rain” off the Bob Dylan radio show. The recorded version is a spectacular thing featuring dueling Rosetta vocal takes harmonizing and flying all over the place and just incredible guitar overdubs. The live version is understandably more raw, but just as good. I’ll let you judge for yourself. 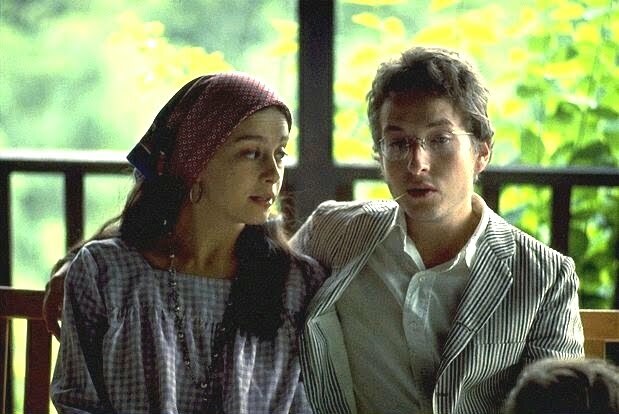 “Sara,” is Bob Dylan’s most honest song. Its probably the only personal song he addresses to a real person directly, his wife Sara. The lyrics are incredibly intimate and, apparently, true to life. ‘Sara’ a gorgeously pained ballad of desperation, fittingly included as the closer to an album he named Desire. That record came out in 1976, and it should come as no surprise that Sara divorced him a year later. Their marriage was on the rocks, evidenced by all the songs found on Blood on the Tracks. I love this songs melody, at once both graceful and earthy. The lyrics, which I also love, are mix of passionate pleadings and cosmic reverence for this woman, a brave and true piece of work, but hey, what else would you expect from Mr. Bob Dylan? The video itself, is an incredible document of washed out 70s home movies and live performances capturing the desolate mood of the song perfectly. So, in the end, there is nothing else for us to do but press play a few times and let this sink in our souls. The thing about being a prolific artist with a 40+ year career is that its likely you might release some random epic masterpieces when people are done paying attention to you. Bob Dylan is such an artist. His song, “Series of Dreams,” a bootleg from the Oh Mercy sessions, is a fantastic piece of abstract pop. 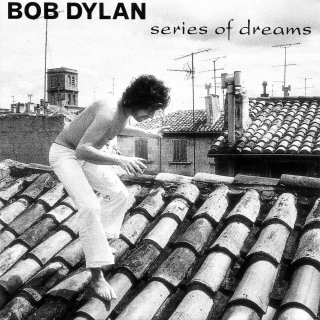 Given a thunderous production by Daniel Lanois that recalls the late 80s/early 90s peculiar air of serious grandiosity, “Series of Dreams,” is one of Bob Dylan’s best later period songs. Unlike other songs about his dreamscapes, this one is rather straightforward; a meditation on the elusive nature of dreams that may be meaningless, or may not. It’s also a sly comment on how people, and even himself, perhaps look too much into his dreams and the lyrics and music they inspire. It’s also serves as a manly sort of reflection of an everyman looking back at his life and all the dreams he’s dreamt…reminds me as the sort of the song that Clint Eastwood might appreciate. The video is a beautiful hodgepodge of classic Dylan clips given that universal circle of life 90s editing style, you know, the sort of style that tries to capture and summarize a lifetime worth of moments with a new age touch. It’s at once both dated and beautiful, and one of my favorite Dylan clips available on YouTube. Check it out. I was examining the dusty halls of my website, and I realized my section on the Who is seriously lacking. It’s not for lack of love, merely an oversight soon to be corrected. “The Seeker” is one of my favorite Who songs. It’s a hard driving philosophical rock fest that is half serious/half parody. 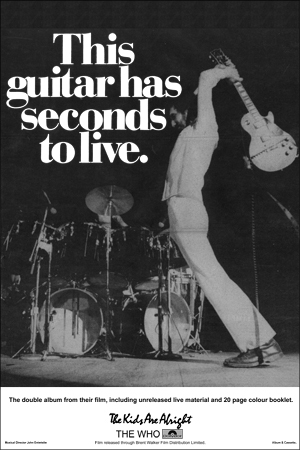 When I was 17, I was more interested in the serious side; Pete Townshend’s search for the meaning of life and death expressed through Roger Daltry’s howling lungs, Keith Moon’s insane bashing, and John Entwistle’s flute like bass playing. As a 27 year old, I’m more interested in the parody side. The song almost seems to be the story of your average rock and roll fan, searching for enlightenment and meaning through the dominant pop culture icons of the age; the Beatles, Bob Dylan, and Timothy Leary. Pete himself must have come across tons of these people asking him for guidance seeing him as another rock and roll prophet. The whole concept is brilliant, and the raucous music matches the abstract flair. The music video itself below is also an awesome example of pop art perfection with dramatic closeups of the members and stylized lyrics splashing the screen. Enjoy. 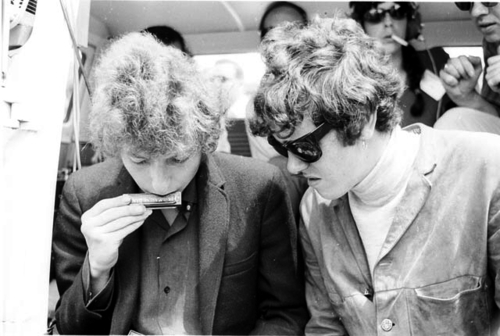 Who was “baby blue?” Was it Joan Baez, Dylan’s folk loving audience, Bob Dylan himself? No one knows, maybe not even Bob. “It’s All Over Now, Baby Blue,” is one of the greatest pieces of symbolist poetry ever, one of the greatest folk songs ever, and one of Bob’s best. Released in 1965 0n the incredible album, Bringing it All Back Home, the song was some kind of farewell ode to love, society, success, or failure. Maybe it was a portent of a coming apocalypse, or a grim nihilistic expression of desolation. Whatever it was about, it was beautiful, and British folkie Donovan knew it. 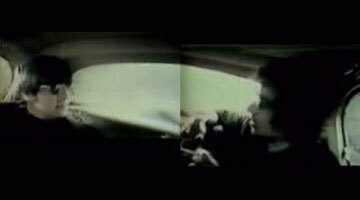 The video clip below is from the 1967 documentary, “Don’t Look Back,” which focused on Dylan’s 64-65 tour of England. In the clip, we see Donovan play a lovely little tune, which is really great, but then request Bob play one of his favorites, “It’s All Over Now, Baby Blue.” I was always struck by what the lead singer of Franz Ferdinand Alex Kapranos had to say on the encounter. I’m not sure if Dylan was sniggering at Donovan’s song, and if Donovan’s jaw was flinching, it was out of awe and respect, not jealousy. Still, Alex, captures the essence of the effect Dylan’s music must have been having on his rabid and possessive folk audience that Bob was now ditching. “Don’t Look Back,” captures the Dylan fan rebellion as they openly boo Bob when he plugs in electric guitars and starts to rock. It’s one of the more stunning moments in rock and roll history, and an example of how different culture was back then; one that held hard onto icons, status qu0, and familiarity. The clip, the song, and the moment is one of the greatest in rock history so buckle up your brain before you press play. It’s one of those famous songs where nobody can remember the full title. Officially its, “Turn, Turn, Turn (to Everything There is a Season. 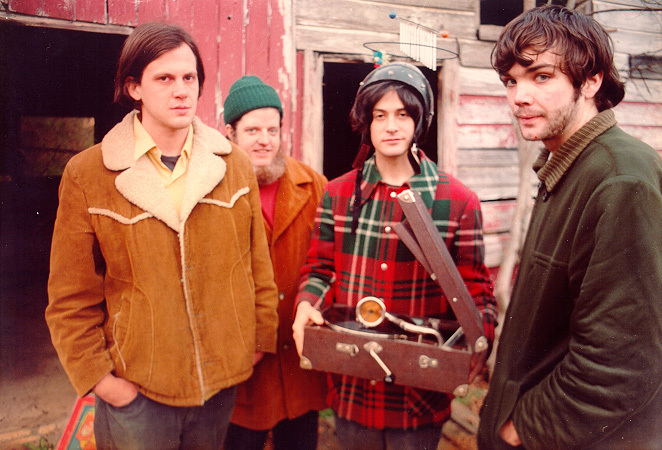 )” Written by Pete Seeger in the 50s, and cribbed almost entirely from a Bible verse, “Turn, Turn, Turn,” was one of the Byrds earlier hits coming out in 1965 along with their electric version of “Mr. Tamborine Man.” What made the Byrds so cool was that up until they hit the scene, aspiring rock bands did covers of 50s rock and other professional standards. 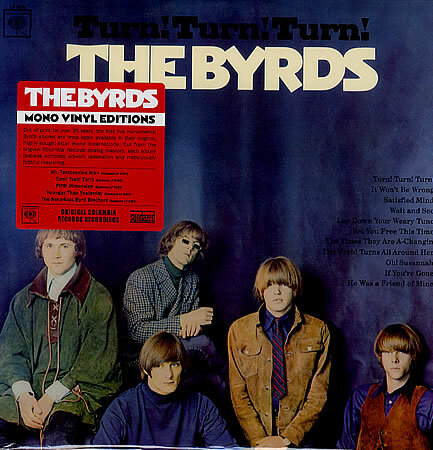 The Byrds were busy covering the likes of Seeger and Dylan, acoustic based folk, but electrified it to help launch the budding psychedelic revolution. Musically, the Byrds were heavily influenced by the Beatles, and vice versa, especially when the Beatles came to LA to drop acid with them and swap guitar tones. 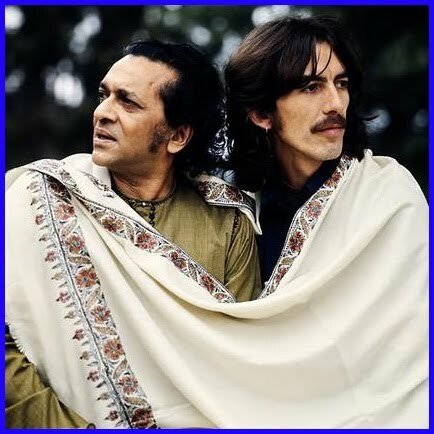 The best thing about “Turn, Turn, Turn” besides its nostolgic feel and beautiful haromoies, is that subtle and lilting opening guitar line, which just taps into a spirit of peaceful energy that is at once completly memorable and iconic of the 60s. I don’t know, this song is very cliched and overplayed, but sometimes even the most repeated songs come back to you and startle you at moments, reminding you of their power and beauty. Enjoy. Powered by WordPress v 5.0. Page in 0.656 seconds.